American Idiot is the two-time Tony Award winning hit musical based on Green Day songs and written by the band's lead singer Billie Joe Armstrong in collaboration with Michael Mayer. The show, which previously has a successful tour of the UK, is set to return to London starring X Factor's Amelia Lily. Peppered with songs from the hit rock band's preceding concept album of the same name, American Idiot is the story of three boyhood friends who each strive to find meaning in their lives in post 9-11 America. Set in the fictional "Jingletown, USA," the show focuses on three fed up youths, Will, Johnny and Tunny. Johnny and Tunny flee Jingletown in pursuit of finding their dreams whilst Will stays to look after his pregnant girlfriend, Heather. American Idiot is filled with tracks from Green Day's seventh studio album such as "Jesus of Suburbia,""Holiday," "Boulevard of Broken Dreams," "Wake Me Up When September Ends," and of course the title track "American Idiot" itself. The show also contains a small number of tracks from previous Green Day albums, such as "Good Riddance (Time of Your Life.)" 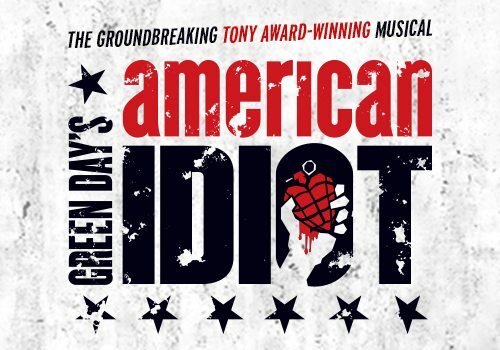 With Music by Green Day, lyrics by Billie Joe Armstrong (of Greenday,) and a book by both Armstrong and Michael Mayer, American Idiot is set to provide an authentic Green Day experience. This production is to be directed and choreographed by Racky Plews with scenic design by Sara Perks, sound design by Chris Whybrow and lighting by Tim Dealing. 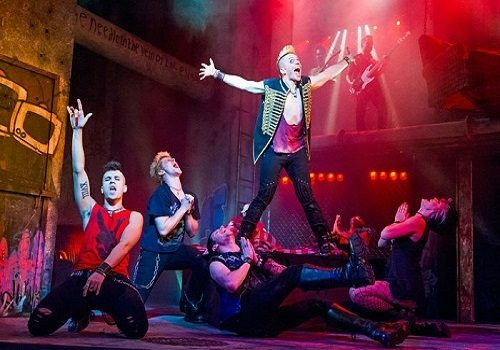 American Idiot is not suitable for children; it contains scenes of a highly adult nature such as drug taking.